Welcome to the first professional Group Text Messaging mobile app! We have a mobile app created to extend our presence to the mobile phones. The idea is that anyone who has an account with ProTexting can download the mobile app for free and login to use the main functionality of the service directly on their smart phone. 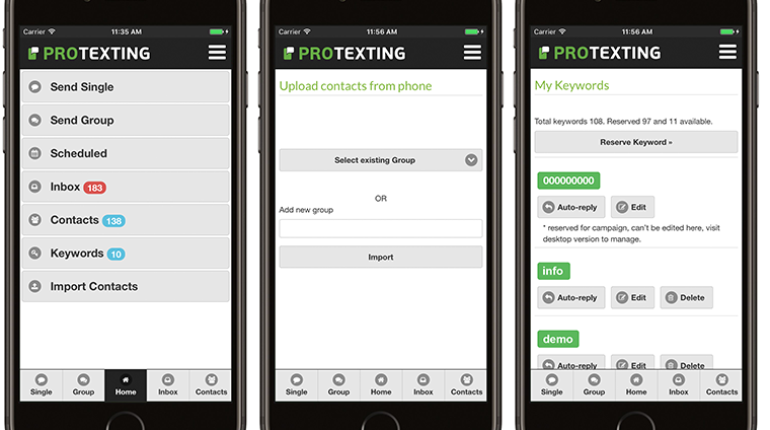 The purpose of the app is twofold: ProTexting has exposure on the app markets (Android and iPhone). The app gives our clients “remote control” to the main features of our services. 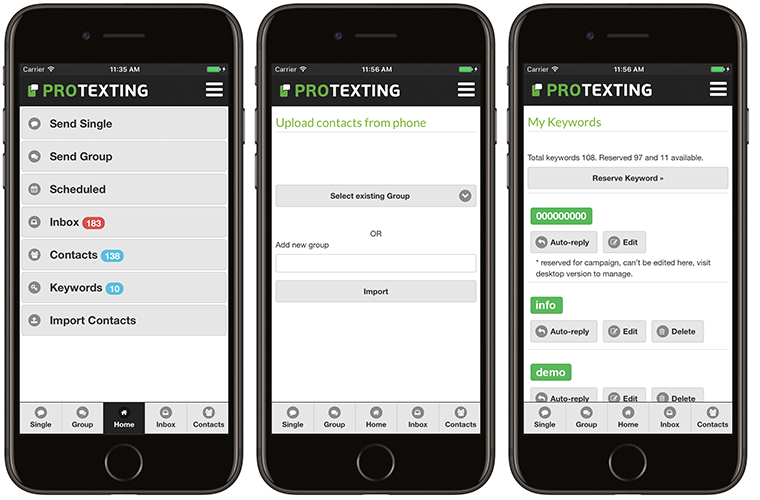 The “Remote Control” is designed to access and manage the core functionalities of our online service, ProTexting.com. It will allow you to send out Group Text Messages, manage your Contacts and Mobile Keywords from anywhere using your cell phone. In addition, we have also created a mobile web version of this lite version of our site, so our clients who are using Blackberrys and other web enabled phones outside of Android and iPhone can have access while they are on the go. Because of the great feedback we are getting about our mobile presence, we are now focusing a great amount of our resources on delivering version 2.0 to our app and mobile website. –Kalin J.